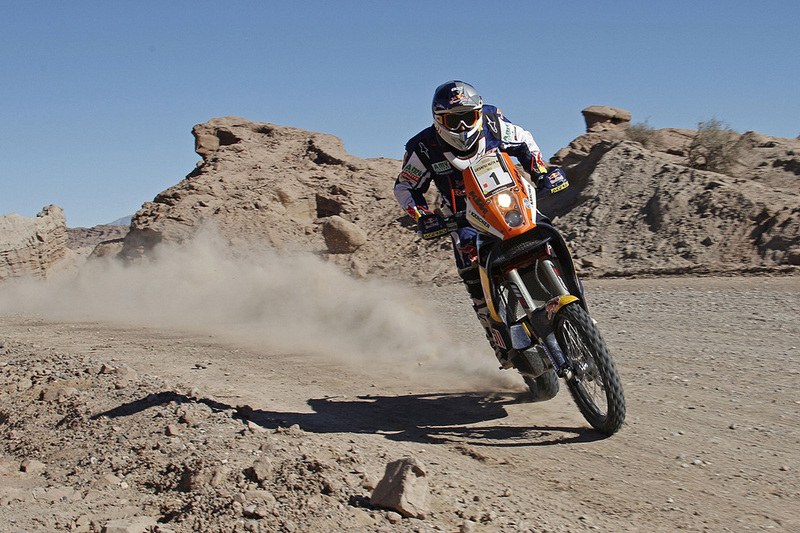 KTM’s American rider Kurt Caselli on Saturday won the final stage of the Desafio Ruta 40 Rally in Argentina to clinch the overall victory. 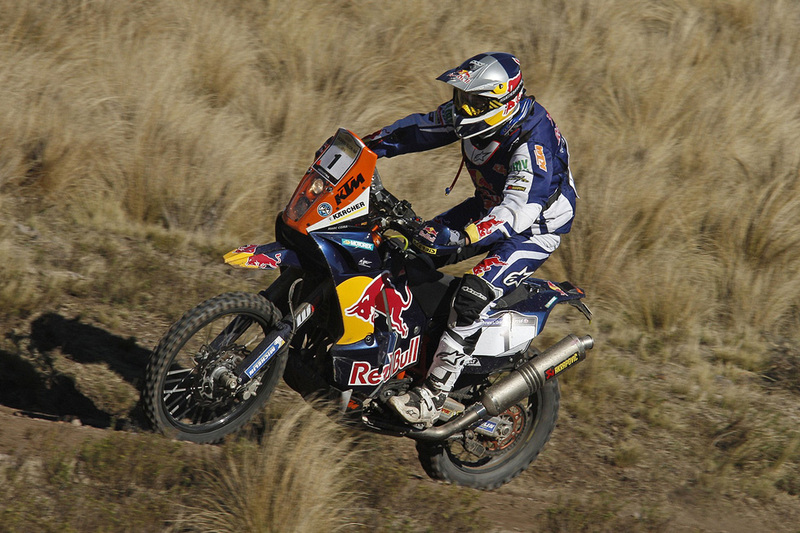 His factory teammates Chaleco Lopez of Chile and Marc Coma of Spain finished 2-3 to give KTm a clean sweep of the podium . 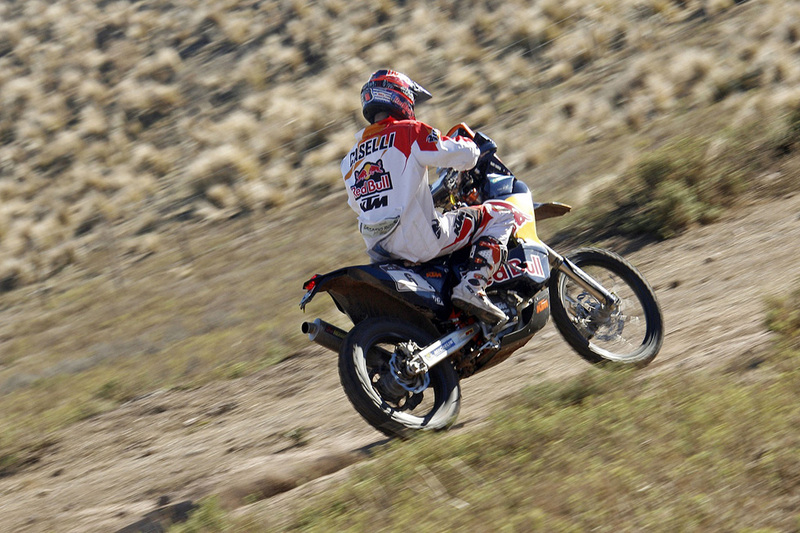 After more than 18 hours of competitive riding the winning margin between Caselli and Lopez, who led going into the final leg, was a mere 43 seconds. 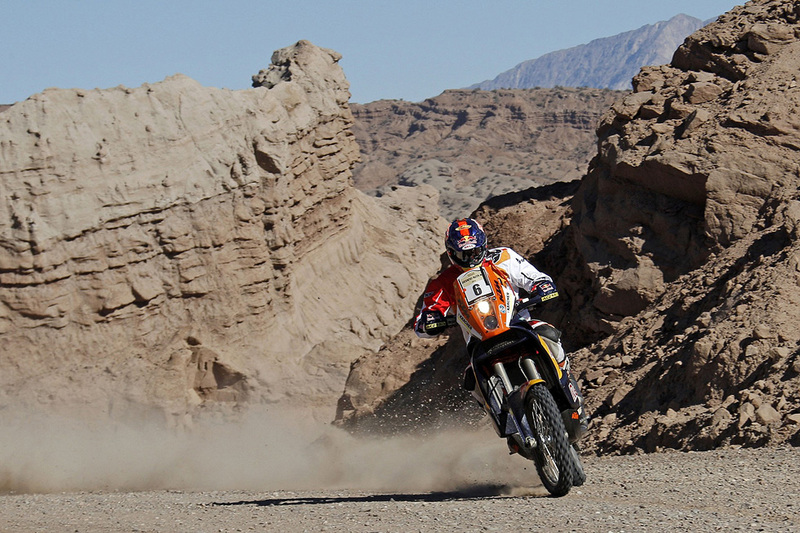 Caselli is a relatively new recruit to the KTM Factory Rally Team but is a very experienced offroad and Baja competitor for KTM USA. 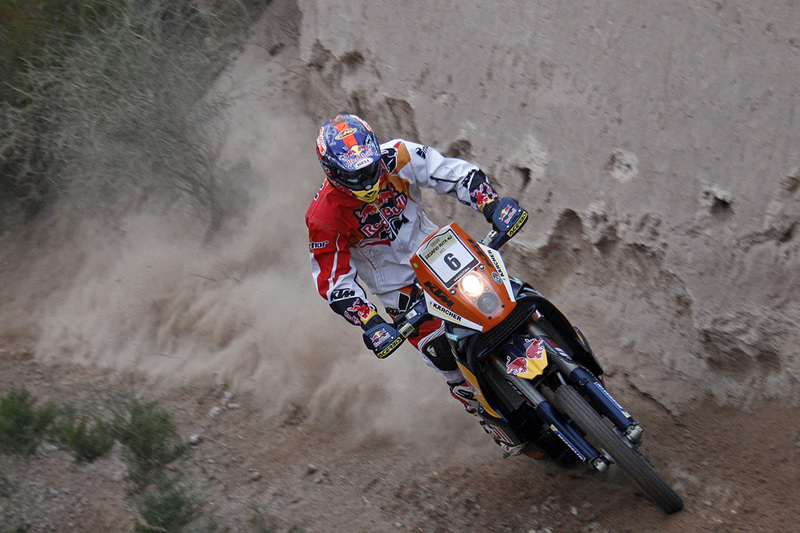 He was drafted in to the Dakar 2013 team when it became clear that title defender Marc Coma was unable to ride because of a lingering injury. His performance this week in what has been at times trying conditions underlined he has the skills and the speed to match the world’s best. Lopez too was a very strong contender. 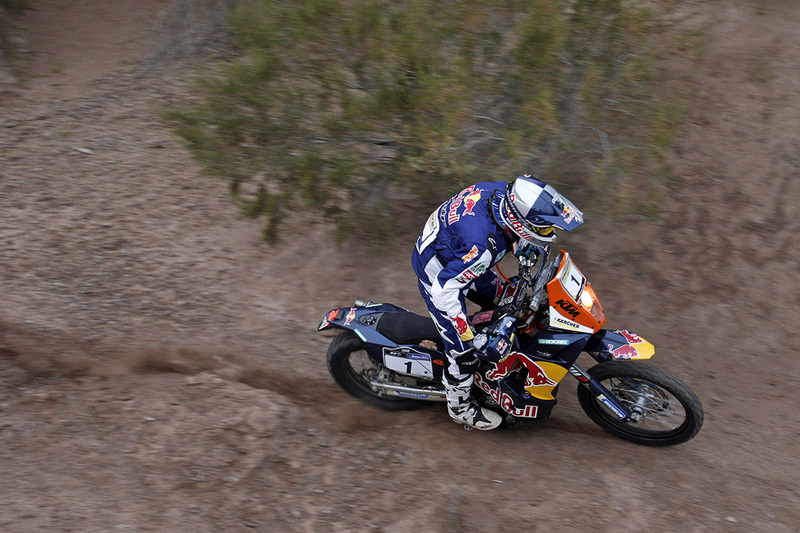 He won stage five and had the job of opening the track on Saturday for what was a shorter timed special of just over one and a half hours in a loop track in and out of San Juan. 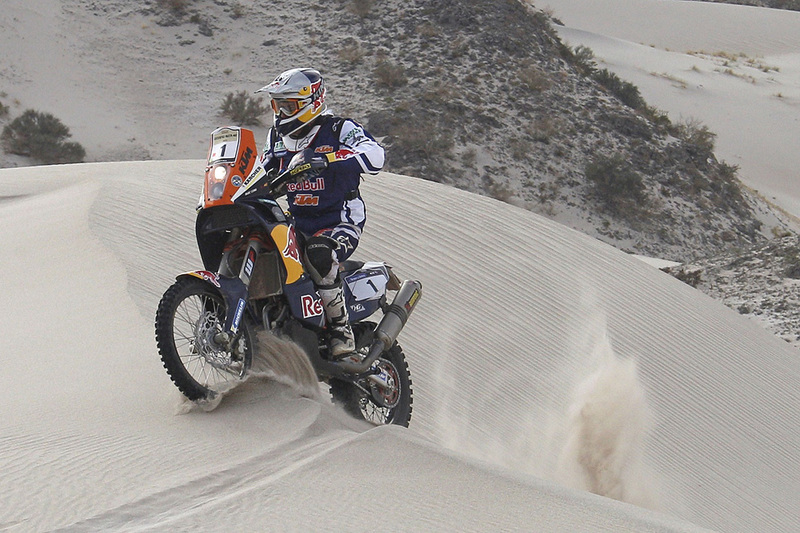 Coma, who lost a bundle of time in Stage Three due to a small technical problem, did well to salvage podium third. 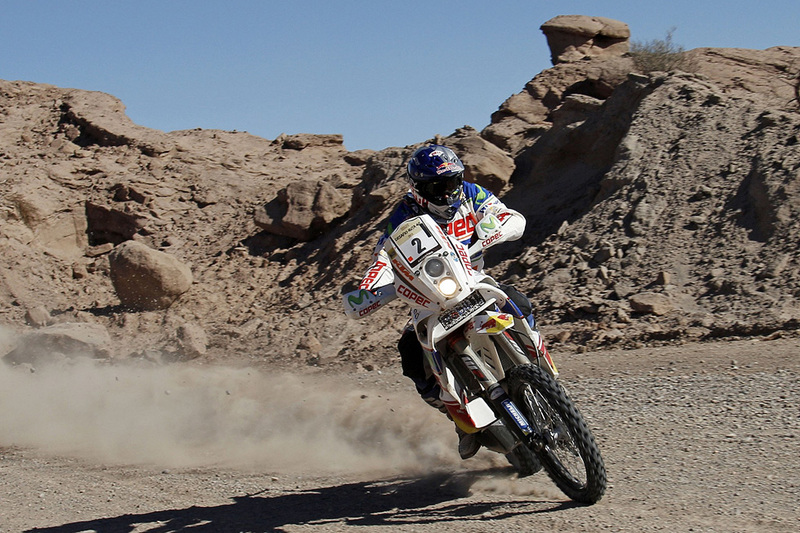 He finished 10.53 behind the leader on the overall standings to add valuable points to his world championship bid in 2013. 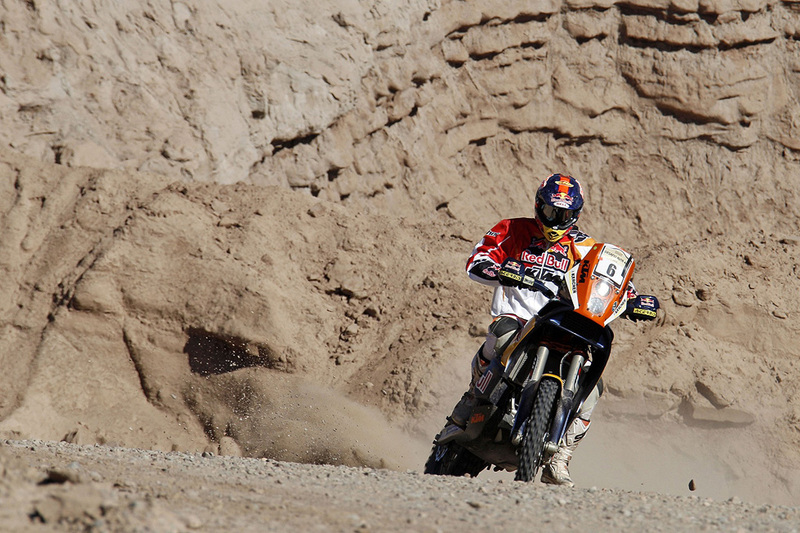 KTM Factory Team Manager Alex Doringer was thrilled with the outcome, saying: “The team did an amazing job, Marc fought back very hard and I am super pumped about how smart Caselli contested the Rally! 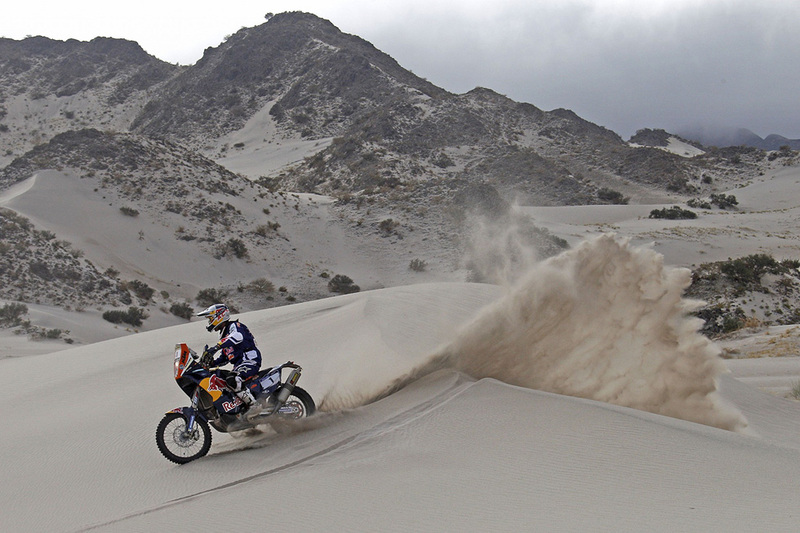 With Chaleco on the podium, we see once more that a rally is always decided in the last days and there’s no point in celebrating until our riders are all across the finish line. 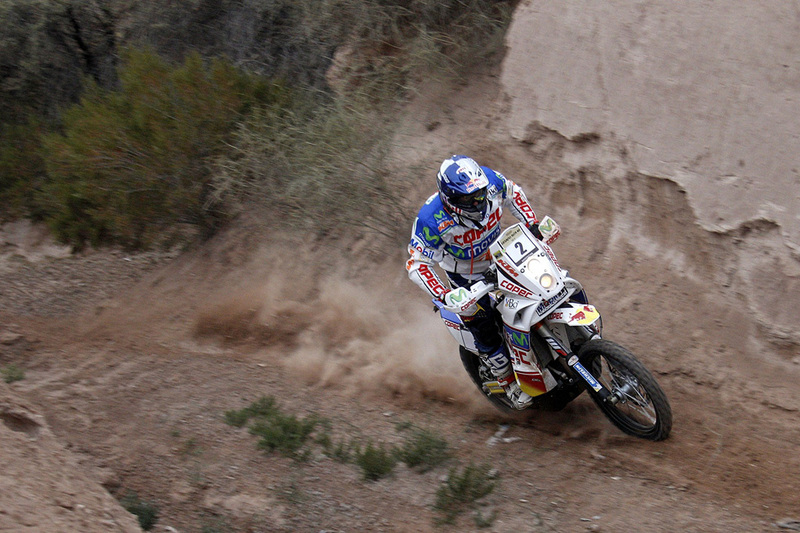 I’m Very happy and we have made a big move toward victory in the World Rally Championship! 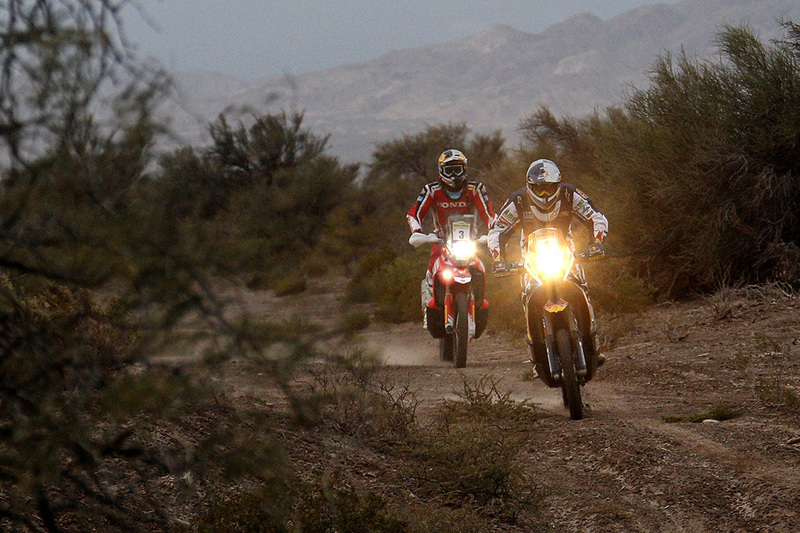 We again proved who it is that is number one in this sport! 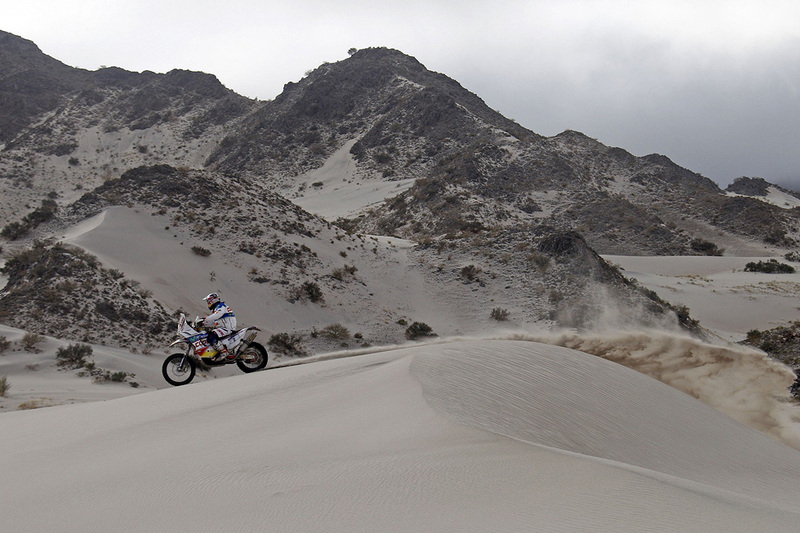 In general it has been a tough outing for competitors with a number of weather-related delays and cancellations of parts of the timed specials and riders also encountered extremely cold conditions in the more than 3000km covered in the six stages.